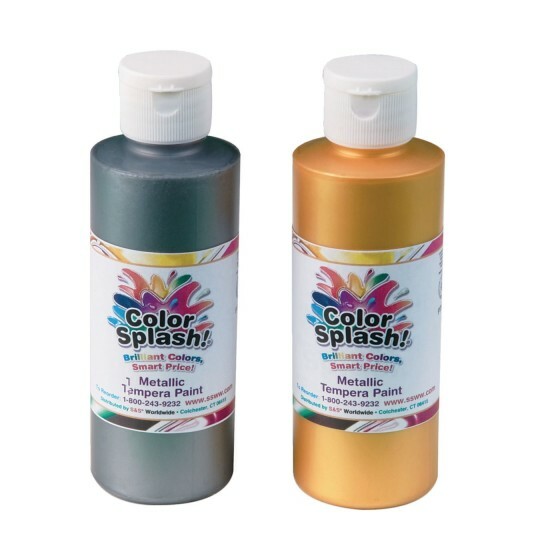 High-quality tempera with the sparkle and shine of a metallic acrylic. Lays down smooth and stays crack-free when dry. Choose from glittering gold or spectacular silver. 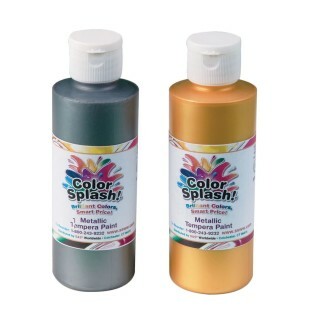 A high-quality tempera with the sparkle and shine of a metallic acrylic! Lays down smooth and stays crack-free when dry. Great poster paint. Choose from glittering gold or spectacular silver. 8 oz. Non-toxic. I use this metallic paint to finish off students' work with air drying clay. We don't have a kiln in the school and this paint gives the clay creations a shiny finish.